Security doesn’t stop at a security system. Other technologies that function independently of a security system can add extra layers of protection. Security cameras, for example, enable homeowners or businesses to visually monitor and record activity on their property from any TV, touch screen, or iPhone. 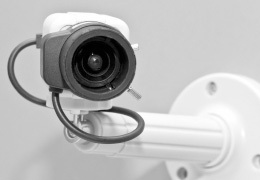 You can also view cameras over the internet on your computer or smart phone from anywhere in the world. If you’re curious about suspicious activity or you would like the convenience and security of viewing who is at the front door, then a security camera is the right solution. Hi-Tech Home will help you to choose products that will blend into the architecture, design, and décor of your home or business. Press Play understands the importance of keeping one’s property safe and secure. 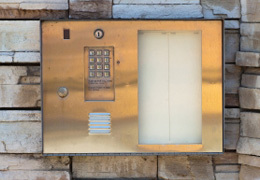 One of the best ways to maintain a level of control entry to your property, whether it is your home, office, or other building, is an access control system. In addition to a security system, access control provides a second layer of security and control. Many access control systems feature multiple user codes, built in cameras, crystal clear communications, and auto-lock doors. We can even integrate your access control system with an automation system to remotely open and close the property gate or entry door.